It’s nearly time for the Kentucky Derby, y’all. 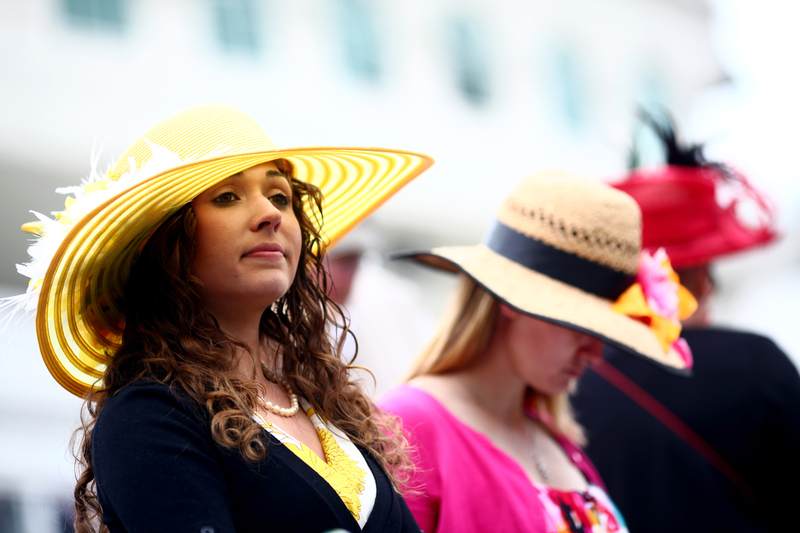 OK, so maybe the dainty dresses and big hats that make up typical Kentucky Derby attire aren’t exactly your style. Never fear! You can dress like the total hipster you are and still join in on the mint julep slurping, horse race betting fun. At a loss for how to style those dark-framed glasses with some Triple Crown-inspired wares? That's what I'm here for. I've put together some Derby appropriate outfits that will still allow you to let your hipster flag fly while blending in with the crowd (just kidding, you never blend in). You’ll look totally cool and aloof in these outfits, I promise! There’s nothing cheesy about a horse-printed ensemble — if you style it correctly, that is. If you’re thinking “Yeah right,” go ahead and have a look for yourself. These ensembles are the perfect balance between laid back and chic, for those of you who don’t want to get too dressed up, or who want to appear like they totally don't care at all which horse wins because enthusiasm is for squares. Check out five outfits below that will allow you to celebrate Kentucky Derby fashion in your own way, no pastel colors, oversized hats, or giant flowers required. But be forewarned — there's plenty of horse patterned clothing to wear ~ironically~. This outfit has a very western feel, so maybe it's a little more cowboy than jockey, but hey, it still incorporates horses so you'll still be on the right track. The hat isn't your average derby hat, but that's what gives it an element of edge, because even wild horses couldn't drag you away from hipster-y aesthetic. Do double duty with a horse printed bomber and different horse printed skirt. How precious is this denim skirt? Paired with those shoes and the collared horse-print top, this look contains the perfect mix of race day and retro inspiration. Okay, so the flask has a unicorn on it, not a horse, but I think that makes it even better.